Accentus was a privately owned company that was headquartered in Ottawa, Ontario. Accentus provides outsourced medical transcription and coding services for medical clinics throughout North America. 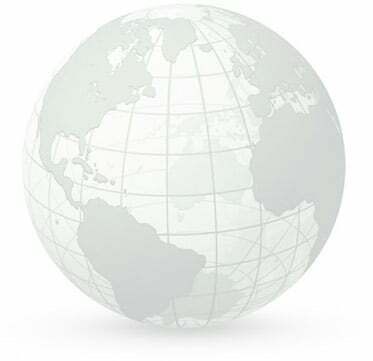 www.accentus.com. The Founders of Accentus are serial entrepreneurs that had built this business to a size that they thought proved their concept. Consequently, they were ready to divest and spend more time on other companies they were developing. 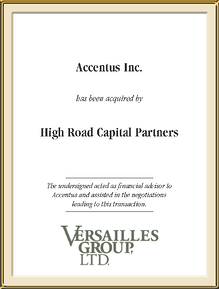 Versailles Group contacted, as it usually does, both synergistic and financial buyers. Several interesting bids were generated; however, it was clear that a financial buyer, High Road Capital, understood the potential value. The challenge was to negotiate and structure a transaction that met all of the shareholders’ requirements while recognizing that the financial buyer had certain limitations. As a result of Versailles Group’s 26 years of experience and expertise, it was able to develop an intricate structure that satisfied both the buyer and the seller. This enabled the seller to achieve their financial and other objectives.